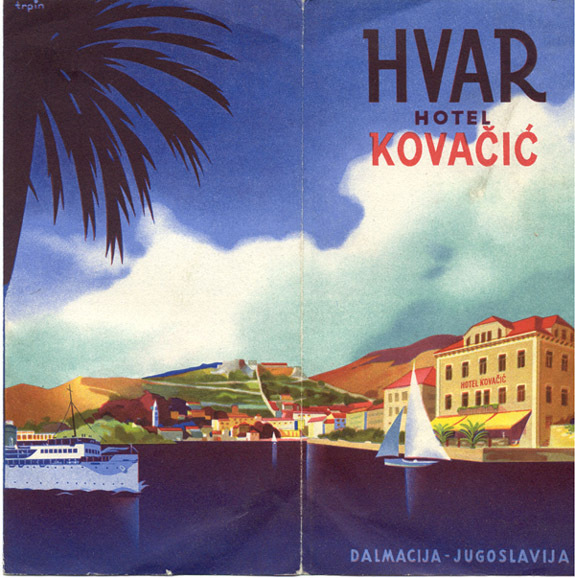 Travel brochure for the Hotel Kovačič on the island of Hvar, Yugoslavia, circa 1936. Signed "Trpin." 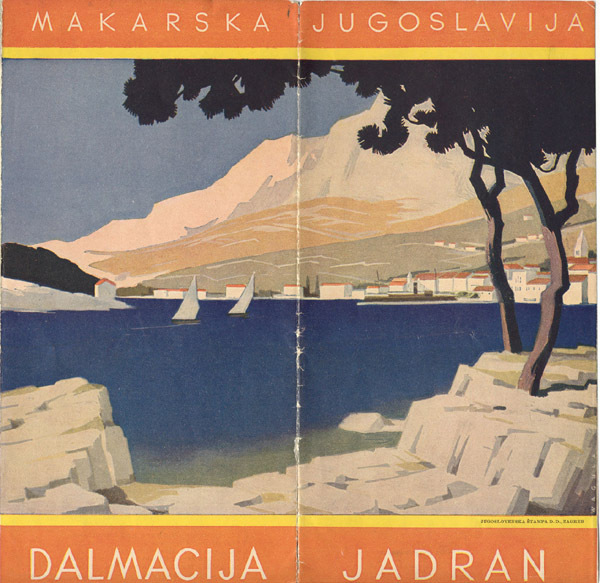 Travel brochure for Jadran, Yugoslavia. Published by the regional tourist board. Signed "Wagula." Circa 1936. Travel brochure for the Badehotel und Kurhaus Dr. Seidl in Crikvenica, Yugoslavia. Published by the hotel in 1938. Time-table "Adriatic Service 1937, Jadranska Plovidba d.d. Sušak." Front cover. 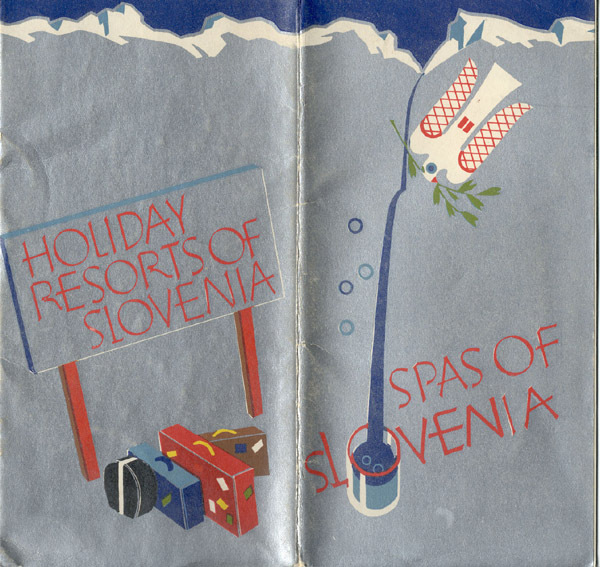 Travel brochure for the Holiday Resorts of Slovenia, view 1. 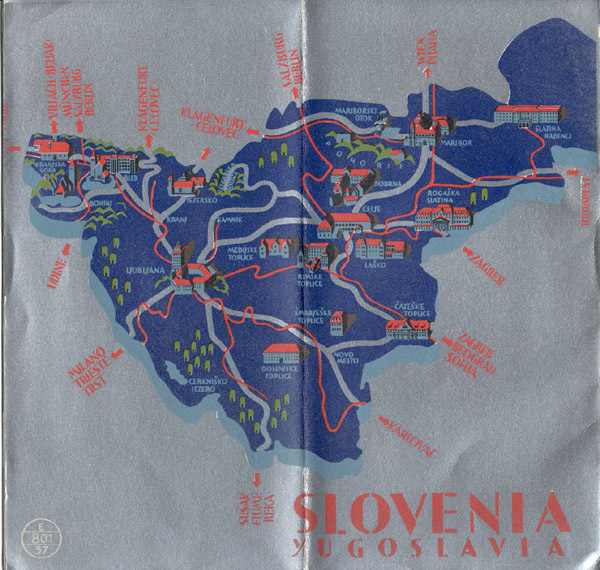 Published in 1937 by the tourist boards of Ljubljana and Maribor. Unsigned. Travel brochure for the Holiday Resorts of Slovenia, view 2. Published in 1937 by the tourist boards of Ljubljana and Maribor. Unsigned Time-table "Adriatic Service 1938, Jadranska Plovidba d.d. Sušak." 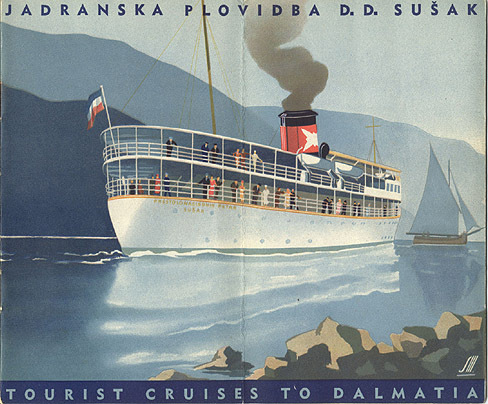 Time-table "Adriatic Service 1937, Jadranska Plovidba d.d. Sušak." Back cover.